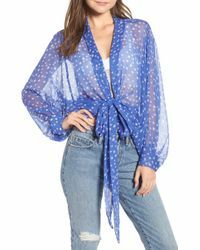 The excitingly hip Free People label caters to the unique individual who has an eye for creativity and interesting detailing. 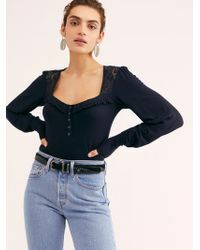 Crafted for those breezy summer nights, summer holidays and long awaited musical festivals, Free People tops are the perfect mixture of romantic flare and edgy toughness. Part bohemian, part urban explorer, each piece tells a story. Sourcing from a range of comfortable fabrics such as cotton and jersey each top can be wore with ease while looking on-trend. 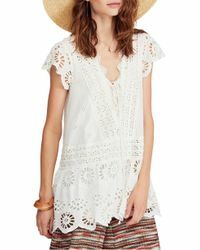 With each new collection and a range of pieces that explore the use of embroidery, embellishments and unique hemlines, a Free People top is a sure way to turn heads while sporting an effortless look. More than 4,000 results for "Women's Free People Tops"